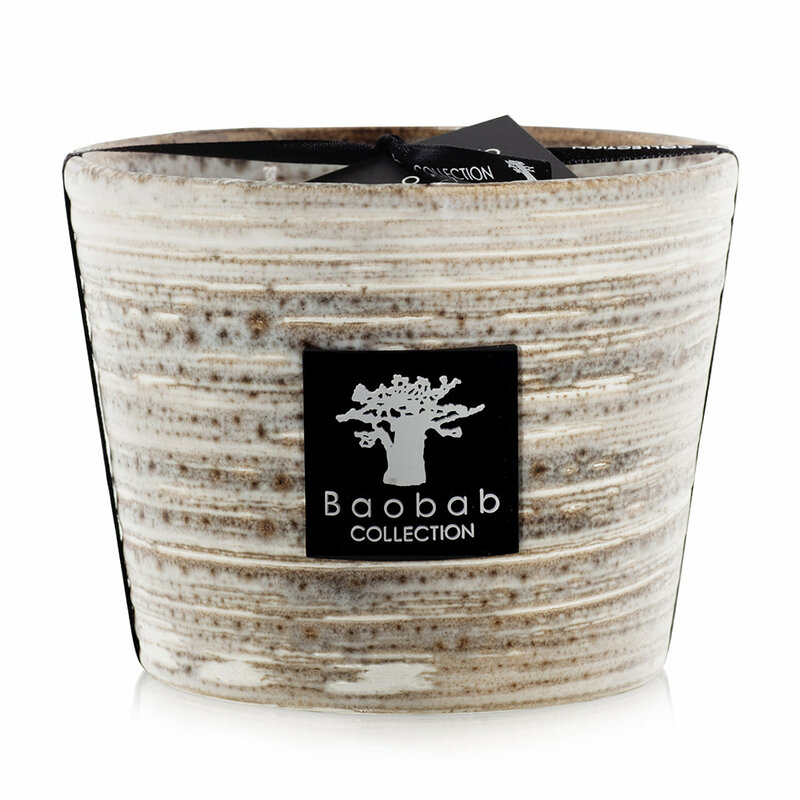 Created in Tanzania in 2002, Baobab Collection’s candles and diffusers are renowned for their size and designs. I love these outdoor candles bringing a delicious aroma outside plus practicality with insect repellent ……. 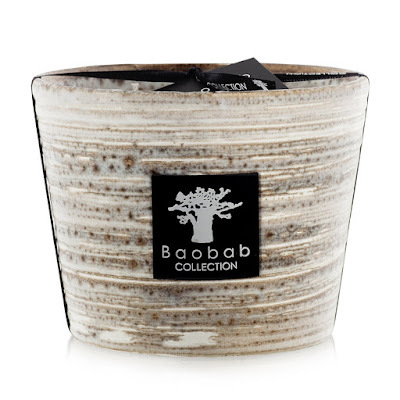 Infuse your home and garden with this Agua Elements candle from Baobab Collection. Crafted from ceramic using innovative enamelling and firing techniques, this candle features a unique blend of turquoise, beige and white tones, making each piece one of a kind. Part of the Elements collection, this candle features a fresh blend of peppermint, geranium and driftwood that has been designed to both repel insects and maintain an elegant and sophisticated edge. The Elements collection is the first edition of outdoor candles by Baobab Collection. 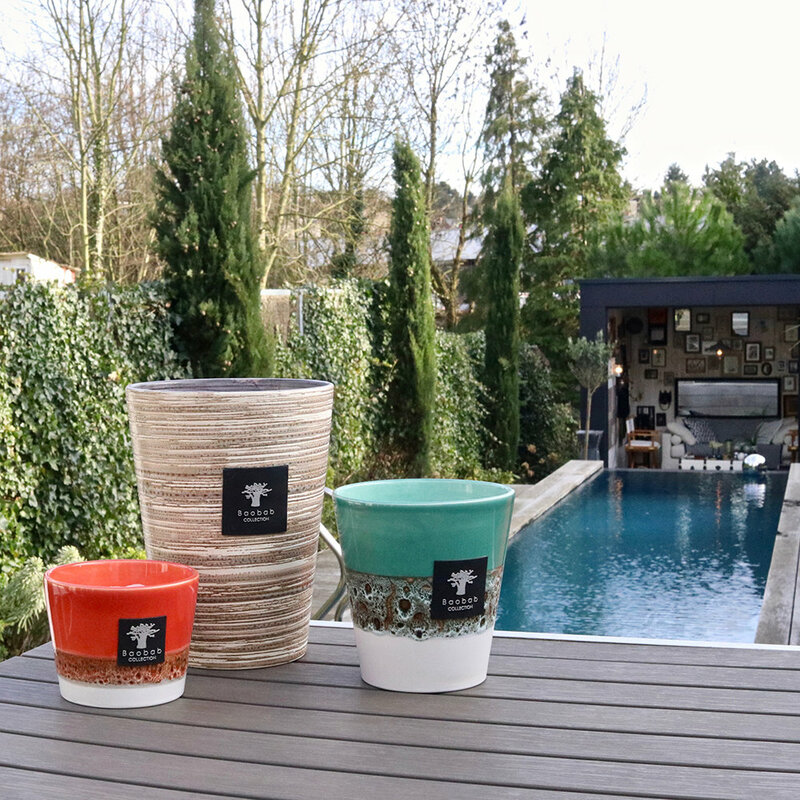 The ceramic vases are handmade with innovative enamelling and firing techniques that create a unique blend of matte, brilliant, cracked or strayed effects. In order to withstand the summer breezes, the Elements collection’s candles are poured around sturdier wicks. 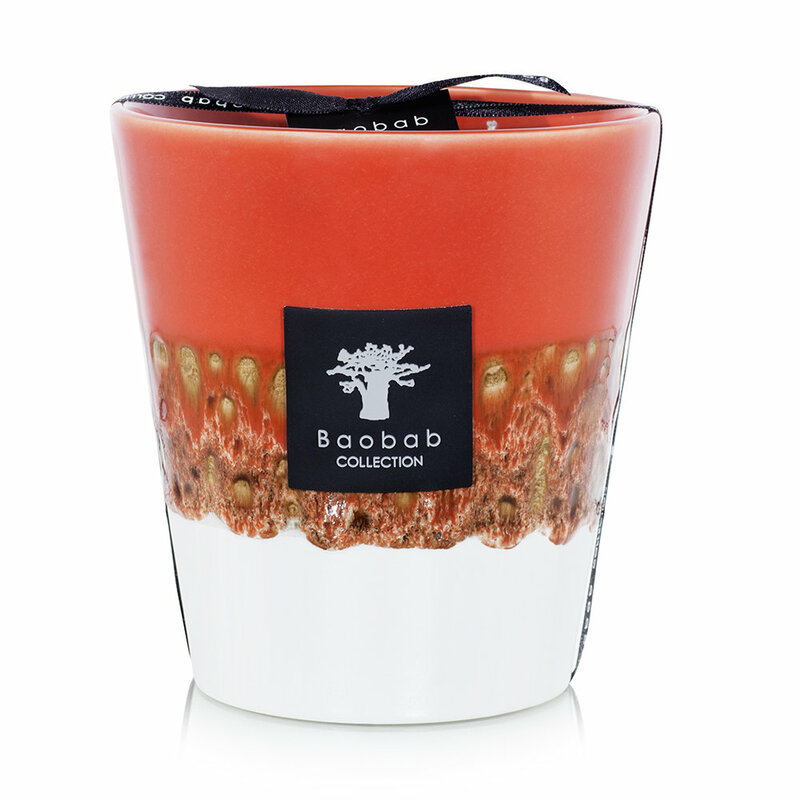 Add a warm touch to your terrace or garden with this Fuego Elements candle from Baobab Collection. 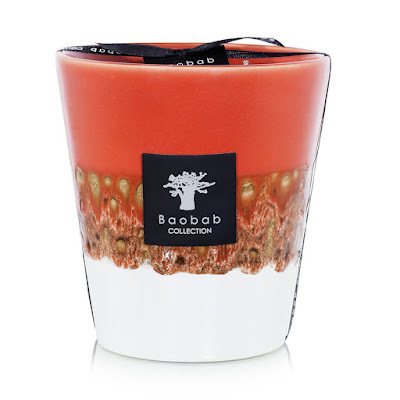 Crafted from ceramic using innovative enamelling and firing techniques, this candle features a unique blend of refined enamel details that range from matte and textured to glossy, in coral, beige and white tones, making each piece one of a kind. 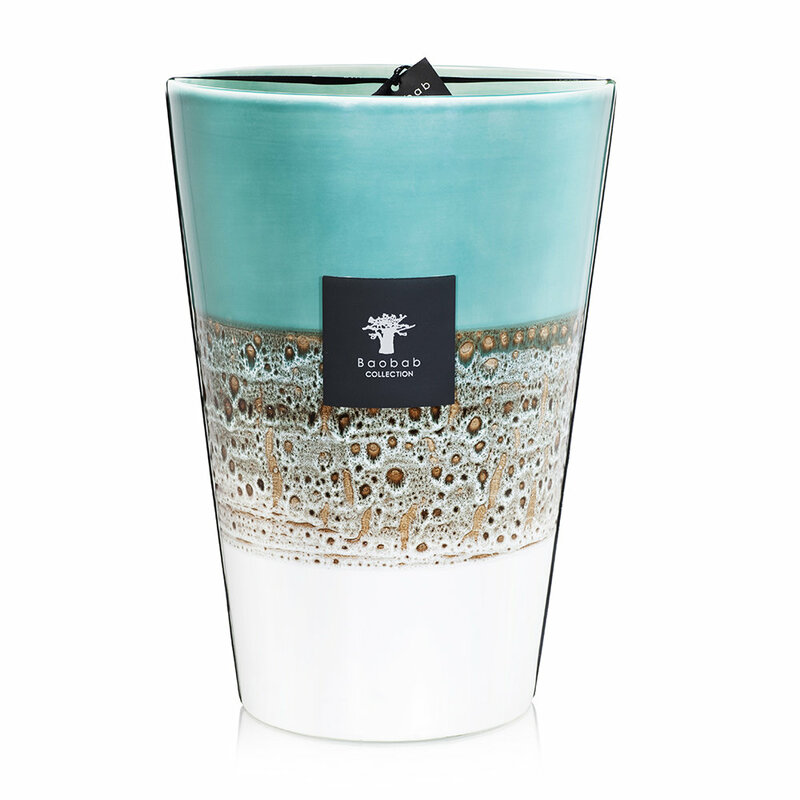 Create a relaxing atmosphere with this Terra Elements candle from Baobab Collection. Crafted from ceramic using innovative enamelling and firing techniques, this candle features a unique blend of strayed effects in grey, taupe and ivory tones, making each piece one of a kind. Part of the Elements collection, this candle features a fresh blend of peppermint, geranium and driftwood that has been designed to both repel insects and maintain an elegant and sophisticated edge.